After weeks of trying to get in touch with famously press-shy author Harper Lee, Al.com journalist Connor Sheets finally got a response: His own crumpled letters, signed "Go Away! Harper Lee." After traveling to Lee's home base—Monroeville, Alabama—and speaking to her acquaintances, Sheets attempted to reach her at her nursing home by letter. According to The Guardian, Sheets wrote Lee that many people "are concerned about you and what is happening with Go Set a Watchman and your legacy" and that "many worry that maybe you are being exploited." "No one wants to believe these things, but all we have heard from you since the announcement that you would be releasing a second novel is statements through Carter and your publisher. The people who love your work would love to hear what you have to say in your own words, to hear it straight from you and not through the filter of an intermediary," wrote Sheets. "I realize you may never receive this letter, and that if you do you will likely crumple it up, throw it in the garbage, and never think of it again … I hope that you'll respond, even if it's just to say, 'Heck no – go back to New York.' And if not, I do wish you good luck. 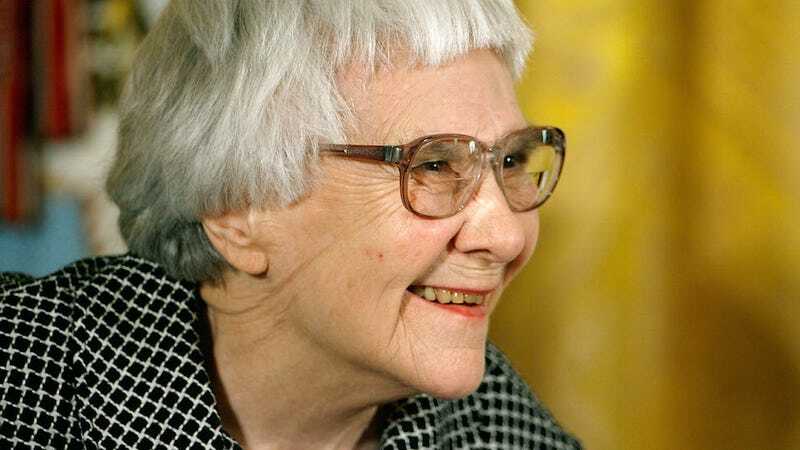 We are all looking forward to reading the second Harper Lee novel, but only if you really want us to." On Wednesday, much to Sheet's surprise, he received his letter back in the mail, "wrinkled and refolded," with "Go away!" written at the bottom. In the past, Lee has been known to respond to press requests with the handwritten response "hell no."